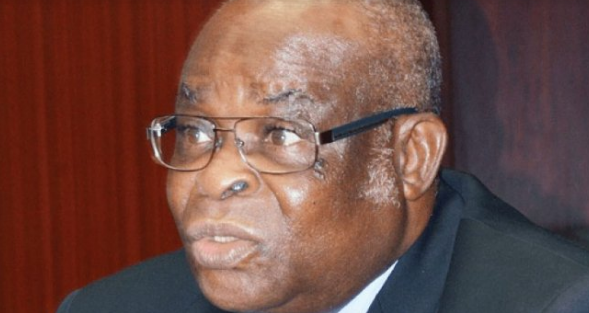 The Federal Government appears to have deliberately ignored the provisions of extant laws and established judicial precedent when it filed a motion asking the Chief Justice of Nigeria, Justice Walter Onnoghen to step down because of the charges of alleged violation of the Code of Conduct for Public Officers. Either the National Judicial Council or the National Assembly must play a role play the process for the removal of the CJN. As it is, the federal government has chosen to ignore the the Senate and the NJC. Except the Justice Onnoghen surrenders to the blackmail, the process adopted by the federal government is not likely to lead to his removal. In the circumstance, the president is expected to act on an address supported by two-thirds majority of the Senate. Since there is no such an address, the CJN remains secure in office. However, since the CJN doubles as the Chairman of the National Judicial Council, the case against Justice Onnoghen is tricky. If past experience is anything to go by, when allegation is made against a sitting CJN, the procedure established by the NJC is for the CJN to temporarily yields his chairmanship of the NJC to his deputy who will preside over hearing of the allegation. In the case against Justice Onnoghen, the federal government has chosen to bypass the NJC and consequently the CJN is not under obligation to step down as chairman of the NJC. For the avoidance of doubt, below are the constitutional provisions dealing with the removal of the CJN. In December 2017, the Court of Appeal sitting in Lagos established a new precedent when it held that the Economic and Financial Crimes Commission did not have the statutory powers to investigate or prosecute serving judicial officers except where such individuals have first been dismissed or retired by the National Judicial Council, the body saddled with disciplining erring judges. According to the appellate court, serving judicial officers can only be prosecuted for offences like murder, stealing and others if such offences were committed outside the discharge of their official duties. But once the offence was allegedly committed in the discharge of their duties, they must first be tried by the NJC, and dismissed or retired before the EFCC can investigate or prosecute them, the court said. A judge, Obaseki Adejumo, who delivered the lead judgment for the Court of Appeal, held that the condition precedent to filing charges against a judge had not been fulfilled, adding that the NJC must first strip or remove the judicial officer of his judicial standing before he could be charged with such alleged offence allegedly committed in the course of discharge of his duties. The Court of Appeal’s decision was in respect of a suit brought by the EFCC against Jusyoce Hyeladzira Nganjiwa, a judge of the Bayelsa Division of the Federal High Court, who was accused of unlawfully receiving $260,000 and N8.6 million through his bank account between 2013 and 2015.